The link is not working buddy. Welcome, I saw the adapter available online but you have to search for it. Definitely stay away from the cheap charging pads, I brought one very similar to the photo you posted and was testing it on my iPhone 7 as an experiment and within a couple of minutes the pad was very hot. Cheers. I’m not gonna jump in and grateful to everyone’s advice. 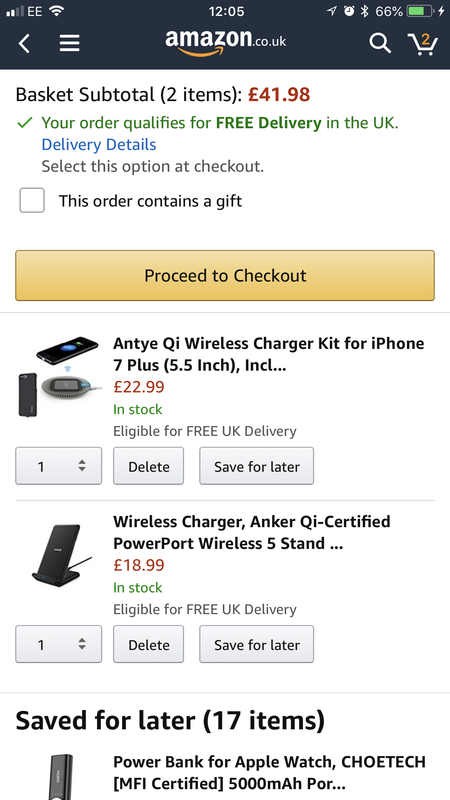 Hi @Oggyboy, please be assured that Anker wireless charger is compatible with all Qi-enabled devices, so if the iPhone 7 Qi receiver works, then our wireless charger should be able to charge your iPhone 7(with Qi receiver) at 5W. Dunno if it’s on your PowerUser page @Oggyboy but there is a half price code for a PowerPort Wireless on there at the moment.